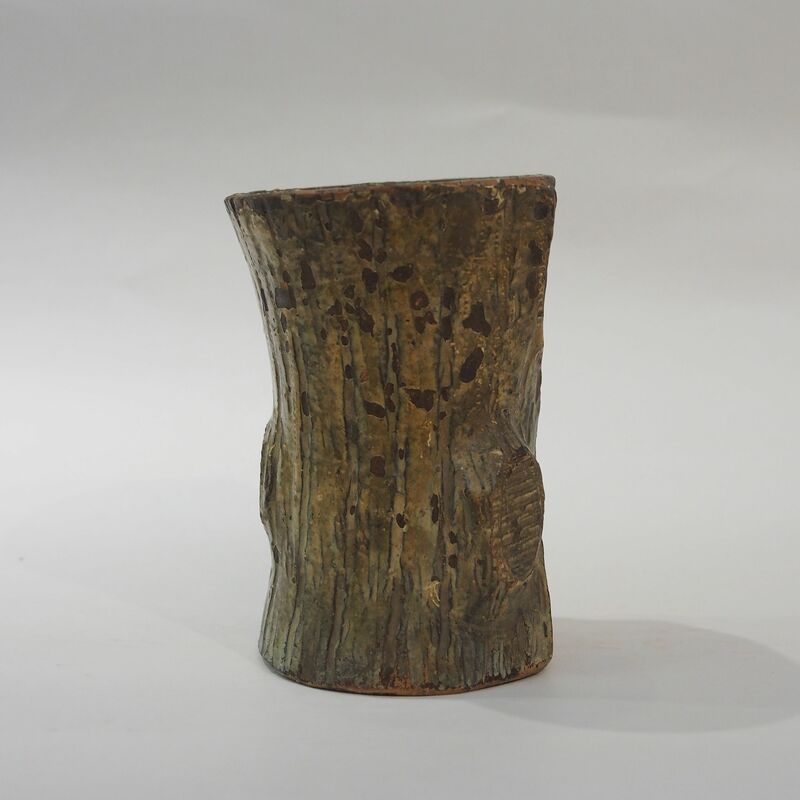 This brush holder is in the form of a tree log, it is made with the stone is found outside of the mineral jade, the so called skin of jade. As the material and colour is completely different from the jade, part of the “jade skin” is sometimes used as an articulation for jade carvings. Here it is used on its own to resemble the bark of a tree. Click here to see our other brush holders.